This is about how I read a book these days. Snatches of pages on road trips with the family. There’s so little time, and so much to do. 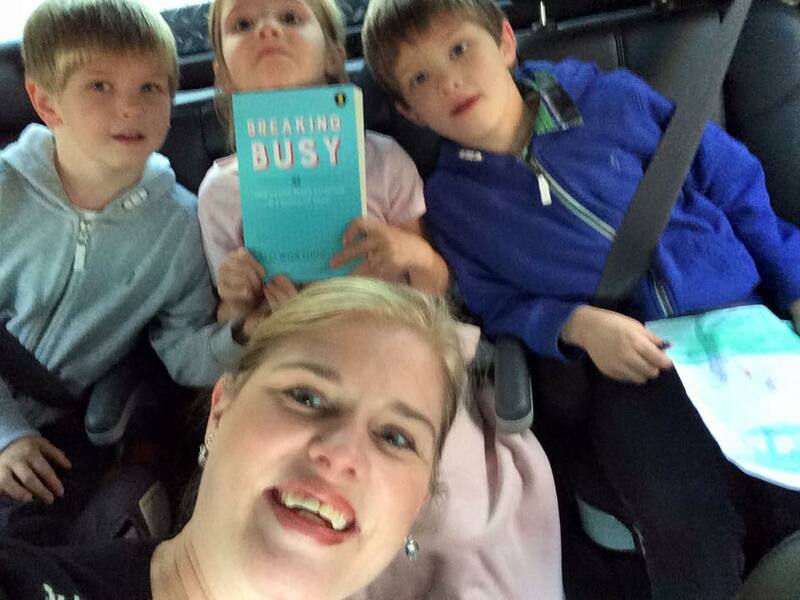 So when I received an early copy of Breaking Busy, and right before the holidays to boot, it felt like a gift. But breaking busy? That’s sort of like the purple unicorn, right? We all want to believe it exists, but our life experience tells us otherwise. Then I found this book. By a woman who is, in fact, busy. She lives in the world which spins around in high speed in 2016. She has four boys. (I’m pretty sure it’s busier than triplets!) And she runs a business, and has run lots of businesses, well. That feels incredibly credible. While so much of this book resonated with where I am in my life with kids and a husband and a career and big life changes and community service and, well, you all KNOW, nothing resonated more than Chapter Four. Editing. I’m a writer, so maybe my love of the “extra” bleeds over into life. I struggle with editing. I struggle with disappointing people. I struggle with realizing I can’t do it all. I read this quote from the start of Chapter Four and knew I was in trouble. 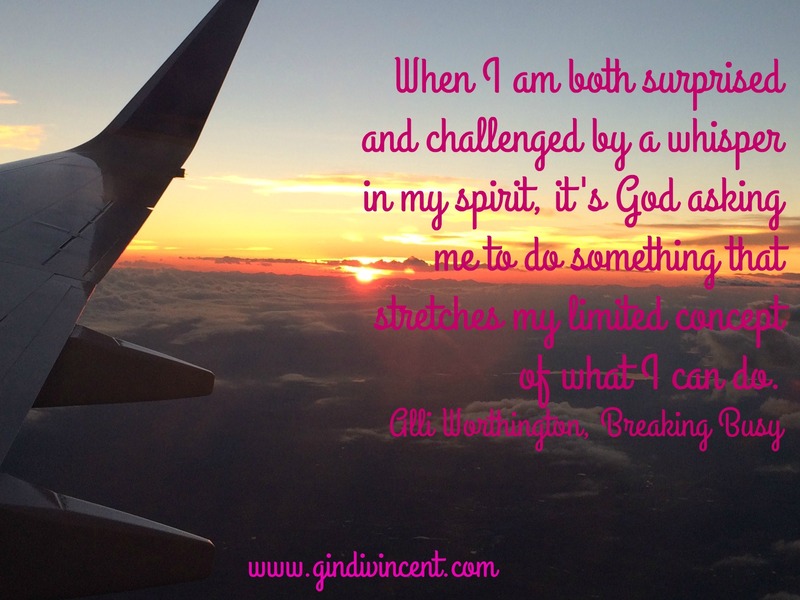 God had been dealing with several areas in my life, but I’d only begun to understand He was calling me away from things I wasn’t ready to lay down. Quit the good to allow for more of God. But Alli doesn’t let up. She just keeps writing. And she keeps writing this chapter because she’s lived this chapter in significant ways. She’s had to quit things without knowing what lay on the other side. This was the chapter I was living right now. She goes on to share five helpful ways to make edits which need to be made. I wrapped up this chapter and then heard Christine Caine preach at Passion, and I quit some stuff. It was no fun. It’s actually still no fun. For the first time in my life in Houston (13 years), I am not sitting on a Board. At my peak, I sat on six. I have one speaking engagement left. I have burns on my hand from all the cooking I’m doing. Little bit and I went jogging yesterday. My life right now is supposed to look different. And God and I are wrestling through that. Alli gets it. The career. The family. The faith. The struggle with how you live all that out. Her book goes on sale tomorrow and you should buy it for every friend you have, from 21 to 61, and keep the first copy for yourself.